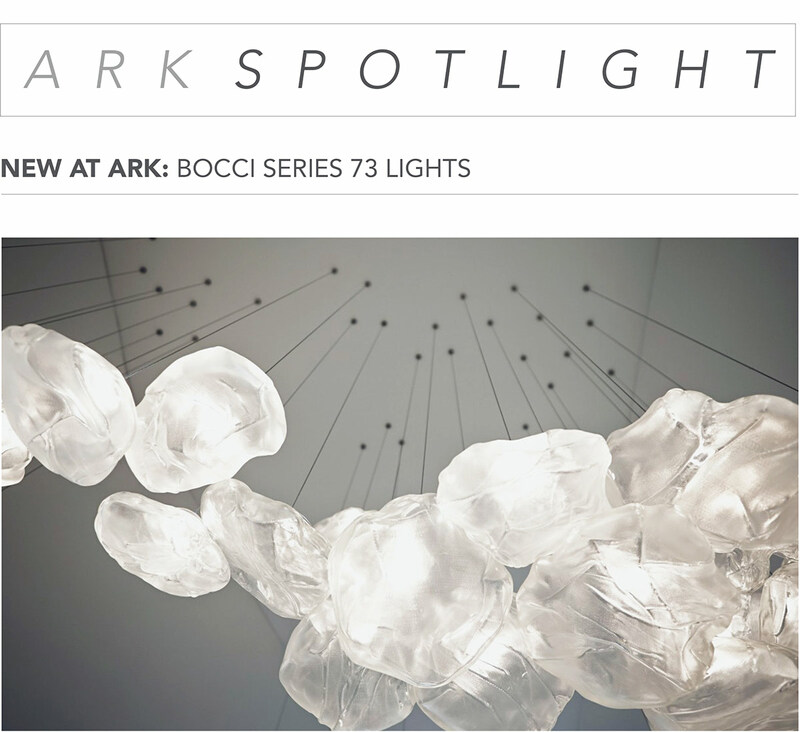 Bocci 73, designed by Omer Arbel is made by blowing molten glass into a ceramic fabric shell. 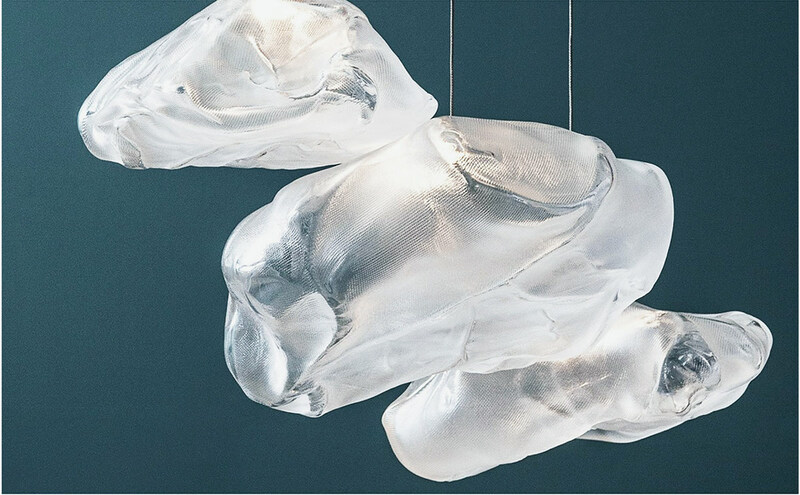 Each pendant has a distinct, organic appearance and a textured surface that conveys the physical properties of both fabric and glass. A at LED is positioned to fill the resulting volume with diffuse light, accentuating the volumetric perception of the piece. 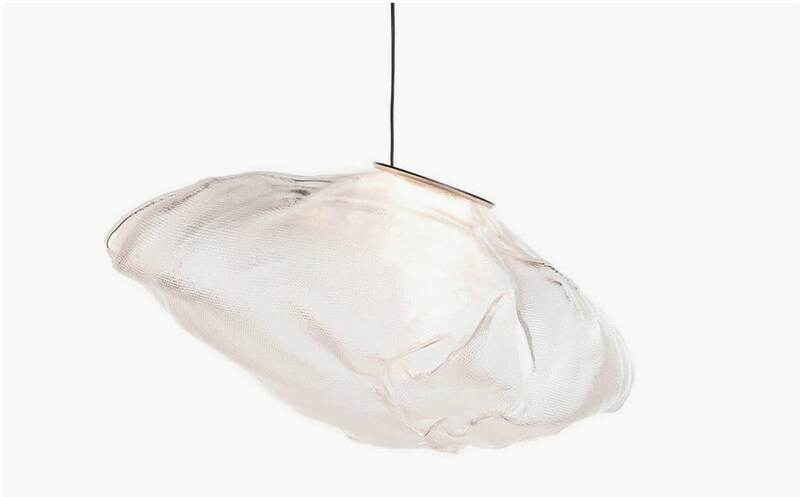 By virtue of the loosely controlled manufacturing process, each 73 pendant is totally unique in size and shape. 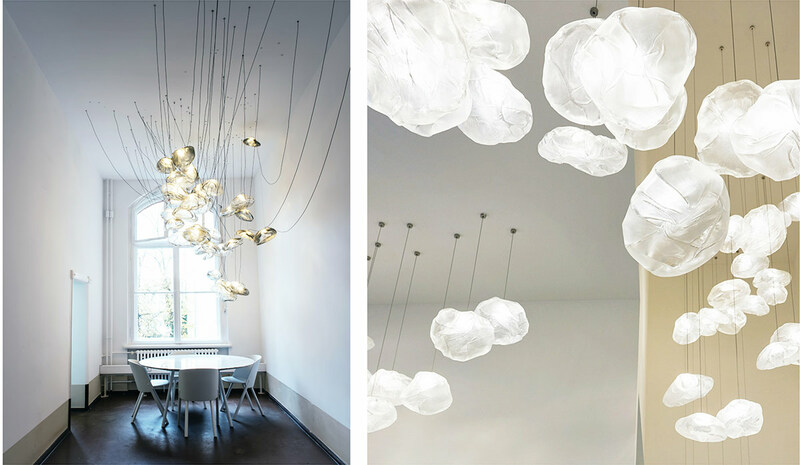 The lights are intended to nestle together in groups, creating complex compositions resembling soft clouds. 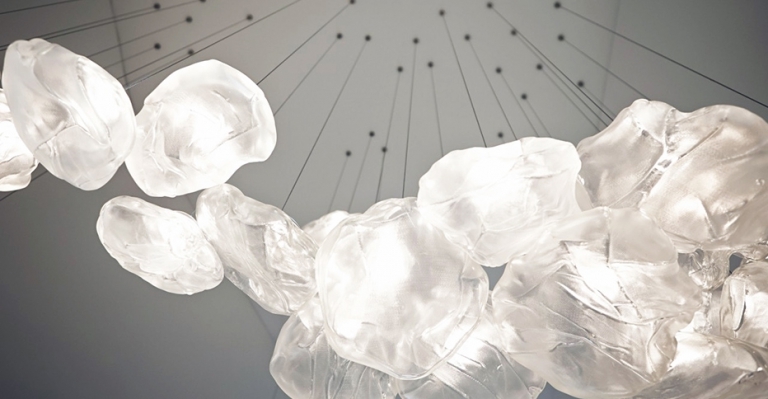 Designer Omer Arbel’s philosophy is based on the intrinsic mechanical, physical and chemical qualities of materials as fundamental departure points for his designs. A blend of art, sculpture and light, the lamps make an ideal statement piece in any room, eliciting qualities of both liquids and solids.